For students to learn about a female indigenous leader through video. Facilities to play video (both videos have English subtitles). Which two countries have invaded the Mapuche nation? In which of the two countries is the Mapuche culture stronger? List two problems facing the Mapuche people in Chubut province. Why are the forests, rivers and mountains sacred spaces for the Mapuche people? The Mapuche see the land mainly as an economic resource. True or False? Why does Moira think it isn’t possible to work with nation-states? What is the maximum sentence Moira faces? 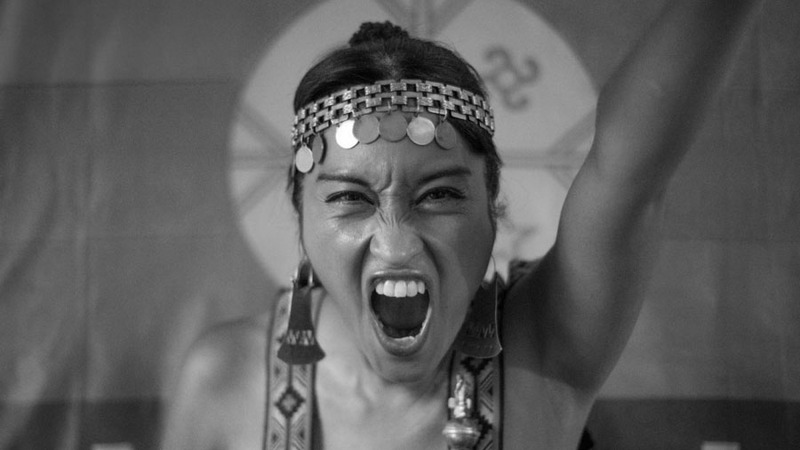 Moira Millan is a ‘weichafe’ for the mapuche people, which in their language means ‘guardian’. What do you think this role involves? Is there anyone doing a similar role in Ireland? Moira talks about “defendiendo territorios que están severamente afectados por multinacionales y por megaproyectos extractivistas” and about “corporaciones extractivistas” What does extractivismo (extractivism) mean? Why is it a problem? Moira doesn’t talk about Chile or Argentina, or even about Latin America, South America or North America, but about IndoAmerica. What does she mean by this? What is the name of the organization that made the video? What do you think they do? Are there any women leaders in Ireland that are fighting back like Moira Millán? Invite your students to do research on female activist leaders in Ireland today, and to make a short presentation on one of them in groups. Encourage them to try to get an interview with one of the activists.